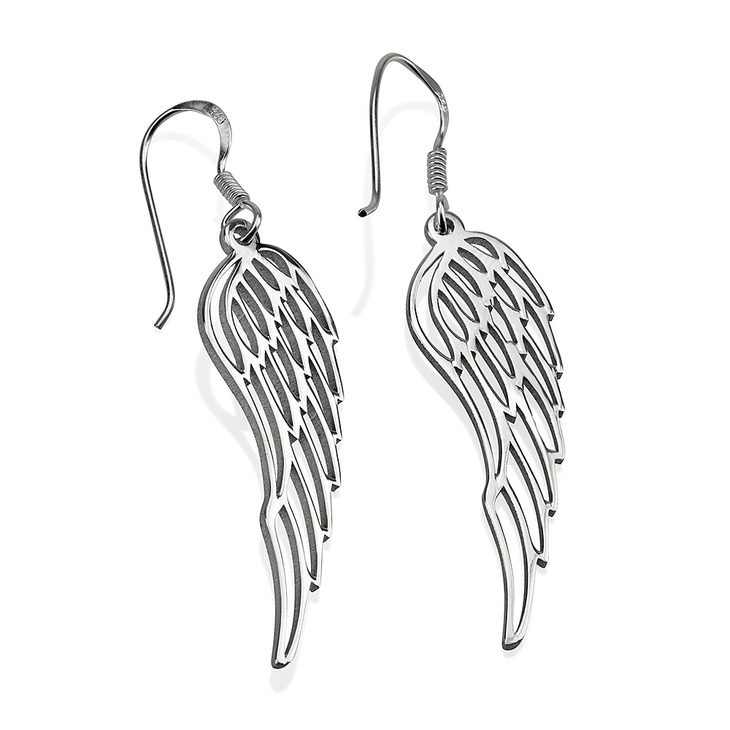 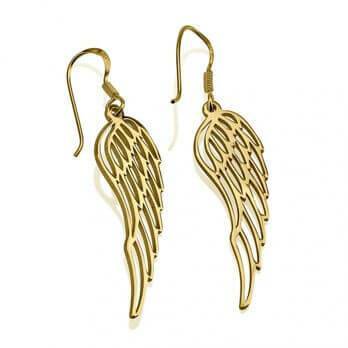 Flaunt your stylish personality with this stunning pair of Angel Wing Earrings, a beautiful yet understated look you will love. 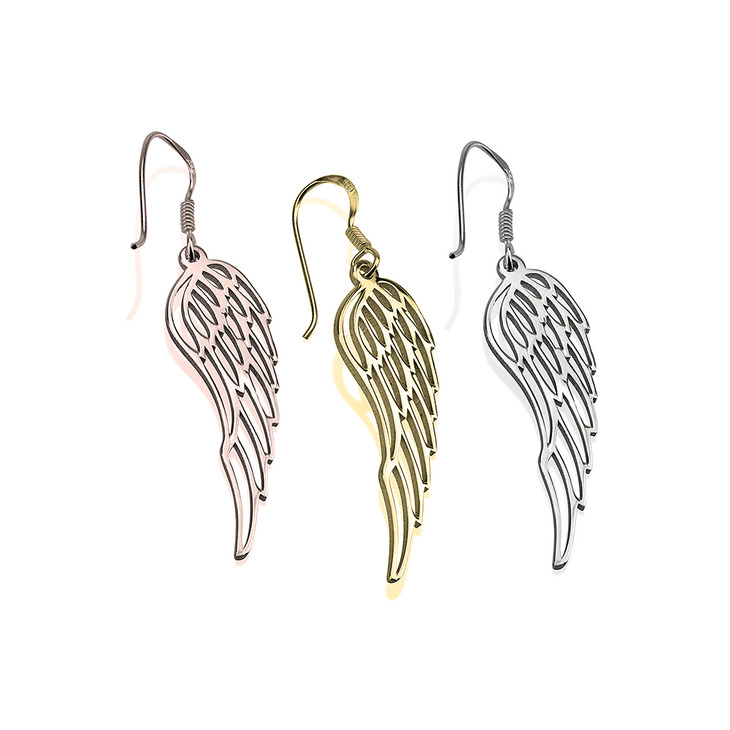 These cut out angel wings will hang delicately from your ears, each one crafted from the finest quality materials ranging from gold plating to rose gold to sterling silver. 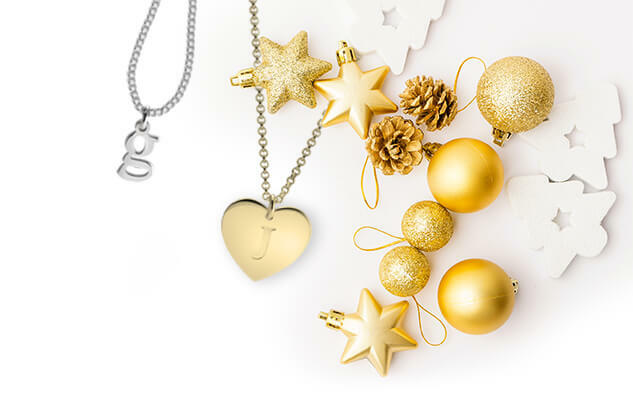 Whether you gift these chic earrings to a loved one or wear yourself, these are truly a one-of-a-kind addition to any jewellery collection, for a stunning touch of glamour. 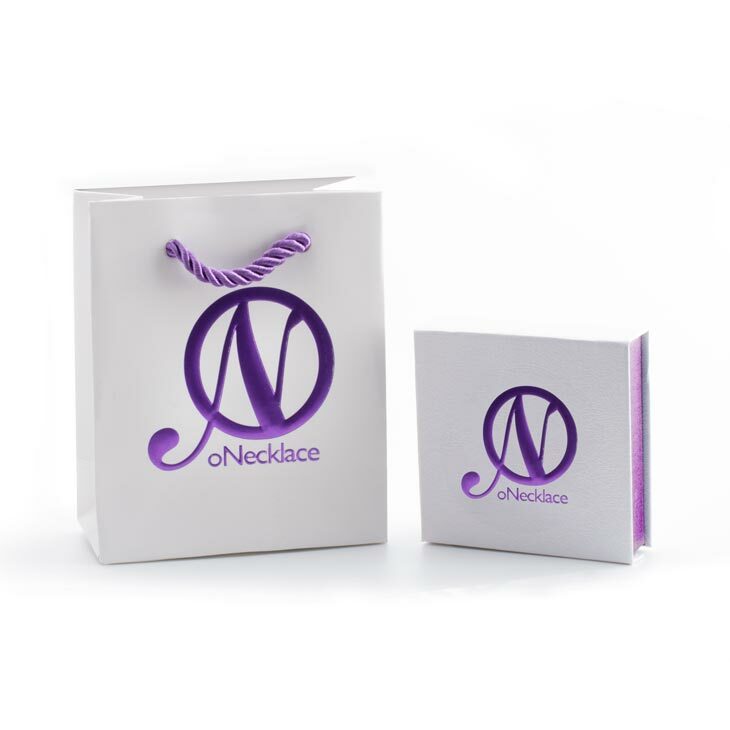 13mm x 42mm / 0.5" x 1.7"